This course will cover the fundamentals of sound spatialization and the underlying psychoacoustic issues. The course uses the SuperCollider 3 (or the old rainbow page) synthesis and algorithmic composition environment for its sound, music and programming examples. Evaluation is based on a project. For Leistungsschein (Master + Magister): the written part of the project should be 4 to 5 pages long. The project it can be a small piece, design of a software instrument related to spatial sound, an installation, etc. Or it can be a paper only, in which case it should be longer (around 10 pages). The project or paper will be presented during the class, presentations should last at most 10 minutes. Projects can be done as a team but then the extent of the project should be bigger than if it were made by an individual student. for Magister (Teilnahmeschein) a shorter presentation would be enough. It is possible to present a single project for students taking both the Computer Music and Digital Synthesis and the Sound on Space courses. Project Presentations Each project will be presented in a 10 minute slot during the first 1/2 hour of the lecture time (last 5 weeks of the course). Please contact Fernando or Wilm to reserve a presentation slot. This course will cover the fundamentals of digital sound synthesis methods and some techniques useful for algorithmic composition. In addition concepts of psychoacoustics will also be presented when needed. See the Lectures page for a short list of topics that will be covered and a preliminary calendar of classes. The course uses the SuperCollider 3 synthesis and algorithmic composition environment for its sound, music and programming examples. Evaluation consists of assignments and a project. Each assignment builds on the knowledge of the previous ones, and the final outcome is a final project which can be a short computer music composition or a short paper in areas related to the topics of the course. For Leistungsschein (Master + Magister): the written part of the project should be 4 to 5 pages long. The project it can be a small piece, design of a software instrument, an installation, etc. Or it can be a paper only, in which case it should be longer (around 10 pages). The project or paper will be presented during the class, presentations should last at most 10 minutes. Projects can be done as a team but then the extent of the project should be bigger than if it were made by an individual student. It is possible to present a single project for students taking both the Computer Music and Digital Synthesis and the Sound on Space courses. Project Presentations: Each project will be presented in a 10 minute slot during the first 1/2 hour of the lecture time (last 5 weeks of the course). Please contact Fernando or Wilm to reserve a presentation slot. 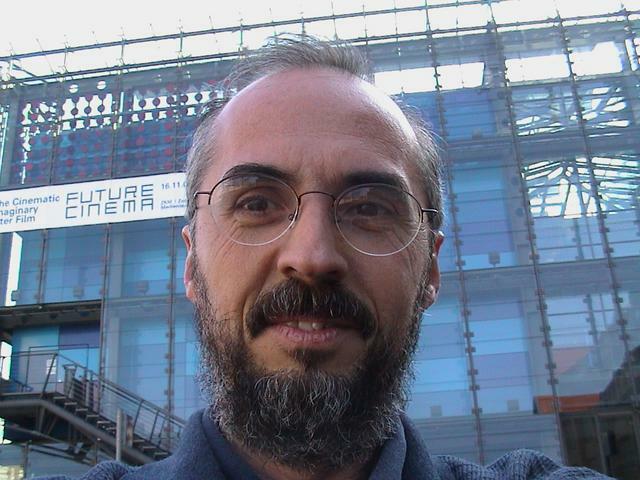 Fernando Lopez-Lezcano (Buenos Aires, 1956) received both a Master in Electronic Engineering (Faculty of Engineering, University of Buenos Aires) and a Master in Music (Carlos Lopez Buchardo National Conservatory, Buenos Aires). He started working with electroacoustic music by building his own analog studio and synthesizers around 1976. After graduating he worked for nine years in industry as microprocessor hardware and software Design Engineer for embedded real-time systems (telephone exchanges) while simultaneaously pursuing his interests in electroacoustic music composition. His 1986 piece "Quest" won a mention in the 1990 Bouges Competition. Starting in October 1990 he spent one year at CCRMA, Stanford University, as Invited Composer, as part of an exchange program between LIPM in Argentina, CCRMA at Stanford and CRCA at UCSD sponsored by the Rockefeller Foundation. 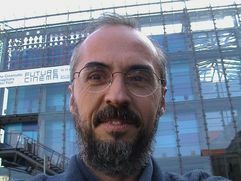 He latter did research in dynamic sound localization and taught an Introduction to Electronic Music course for one year at the Shonan Fujisawa Campus of Keio University, Japan. He is currently Lecturer and Systems Administrator of the computer resources at CCRMA, where he splits his time between the company of good friends, keeping computers and users at CCRMA more or less happy and enjoying the arts of composing music and writing software. His music has been released on CD's and played in the Americas, Europe and East Asia.